We live in the land of technology. Folks walking round with their heads down, looking into a screen instead of a set of beautiful eyes. Well, if you plan to find love or keep the one you’ve got, it’s gonna take some work! I always tell my Mr. Right it’s the hardest job we’ll ever have. I remember when Mr. Right and I started dating; he would write me love notes on a fairly regular basis. We don’t do that much any more, but they still hold a special place in my heart. I kept EVERY one of those notes. Maybe I should write him a love note! 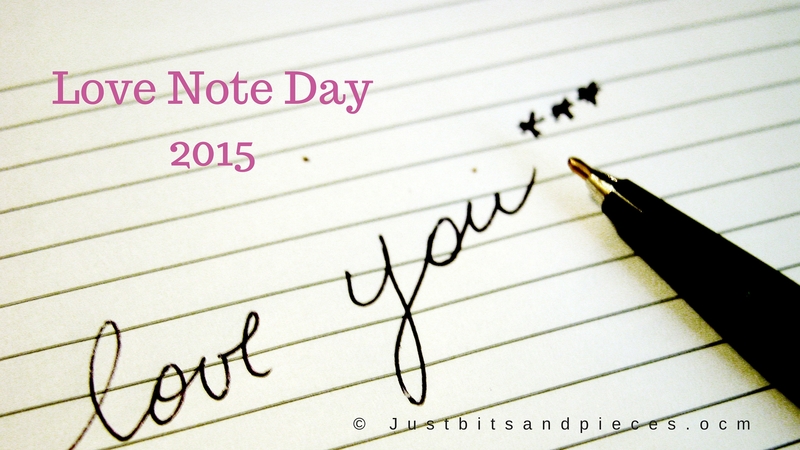 After all, it is Love Note Day! !